San Jose International is the gateway to the Silicon Valley. For businesses that often means making the right first impression with quality SJC airport limousine service. Our SJC airport transfer service features flawlessly maintained luxury sedans, town cars, SUVs, and limousines coupled with experienced, well-trained, and highly professional chauffeurs. We deliver excellence in San Jose Airport ground transportation. Whether for business or personal travel, you can count on us for impressive transportation experiences. For departures our experienced SJC airport transfer service staff and skilled drivers assure on-time drop off at the right terminal. You'll arrive relaxed, having avoided the complications of San Jose Airport ground transportation with no traffic, parking, or shuttle delay worries, and with the time you need for baggage check in and security at an international terminal. When unusual itineraries or flight cancellations complicate travel, our SJC airport transfer service connects with SFO (San Francisco) International and OAK (Oakland) International, both roughly an hour's drive away. Our SJC car service and SJC airport limo service can also connect with other local public and private airports. 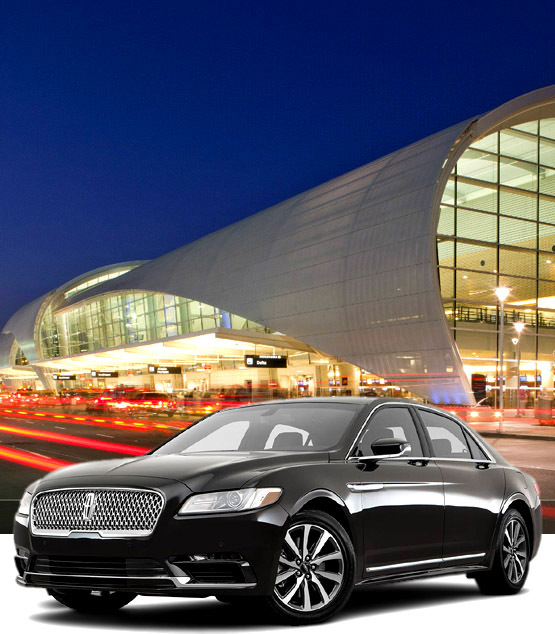 You can count on SF Black Car for dependable luxury in San Jose Airport ground transportation for the South Bay. Your SJC car service choices include BMW sedans, Lincoln town cars and sedans, and Mercedes sedans as well as fully equipped SUVs from Lincoln and Chevrolet. For larger groups and extra elegance you can choose a stretch-limousine seating 10 in true comfort for your SJC airport limo service. You'll appreciate the punctuality and professionalism of our drives as well as the experience and attention to detail of our reservation and dispatch staff.